Product code: ES8354 Categories: Antique, Antique Engagement Rings, Antique Rings. This is the type of antique ring that not only sits perfectly on the finger, but will suit any woman of any age as well as being perfect for any occasion. 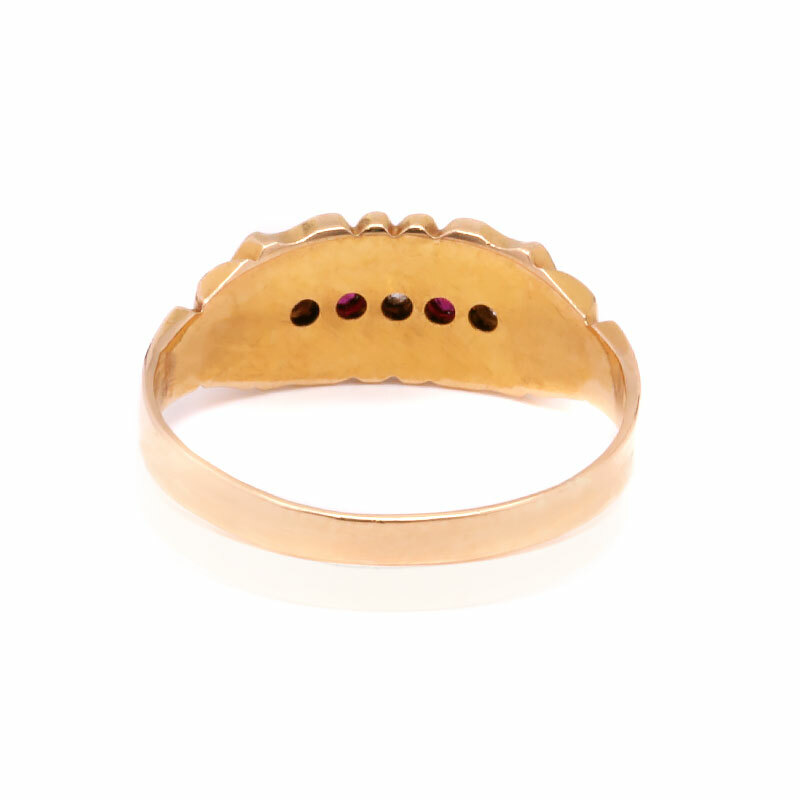 Made in 18 carat yellow gold in Birmingham England in 1892, the design with the scalloped edge and rectangle section that the rubies and diamonds sit in, make it so much more interesting than many of the modern mass produced rings today. The two rubies are perfectly matched with such a beautiful fine red to them and they total 0.09 carats and really stand out against the yellow gold and the white of the diamonds. The diamonds themselves are the early mine cut diamonds and they total 0.09 carats. Antique mine cut diamonds are one of the earliest forms of full facetted diamonds and have all the charm and character of being cut by hands all those years ago. Measuring 6.8mm wide at the centre, with the rubies and diamonds set into their setting, this is a very comfortable and practical ring to wear all the time where it will always be loved and admired. 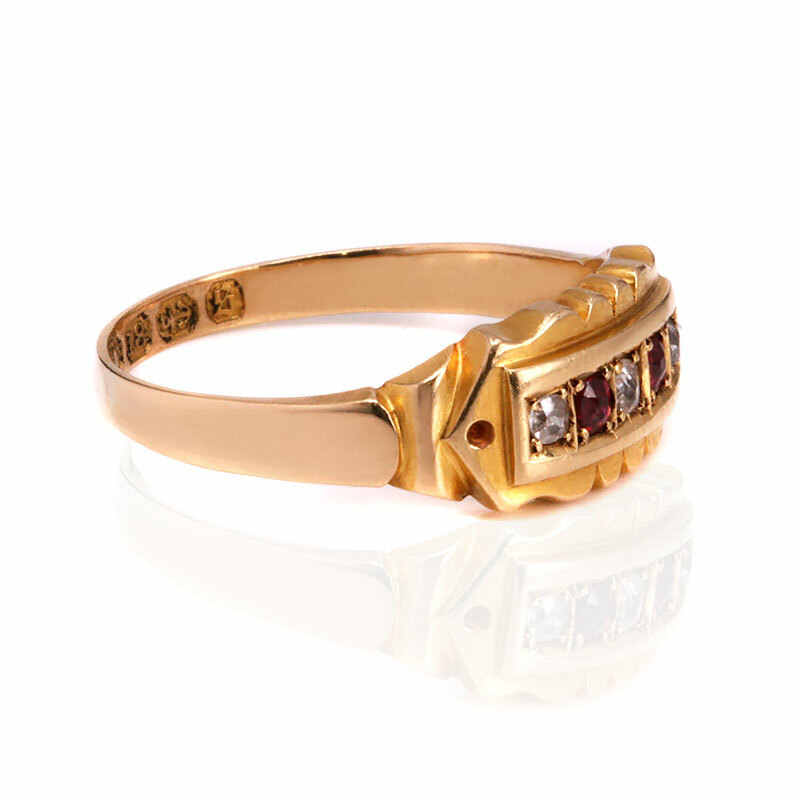 Tag: antique ruby and diamond ring. 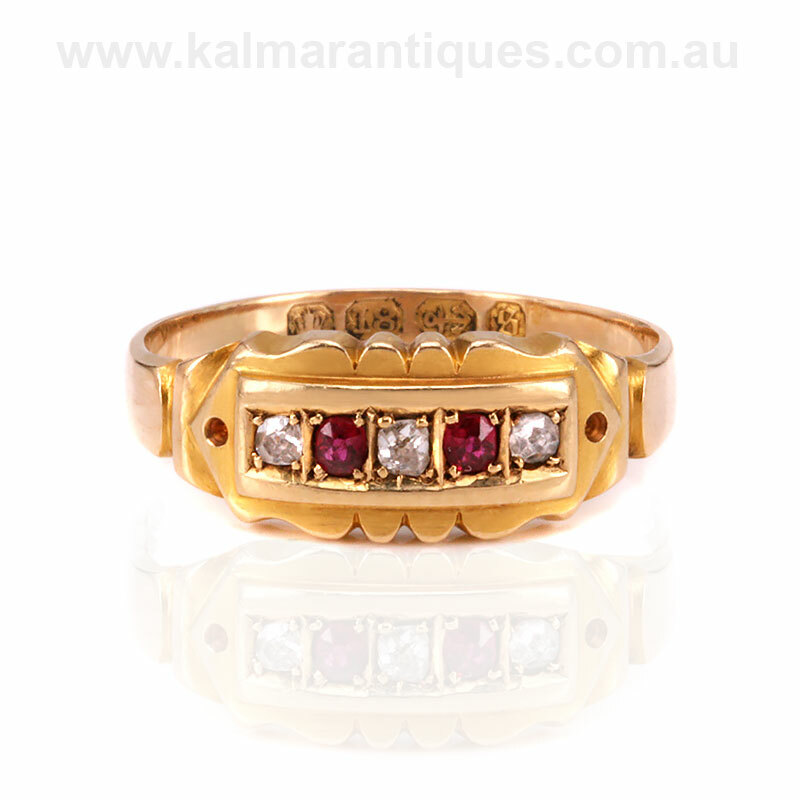 Antique ruby and diamond ring made in 1892.